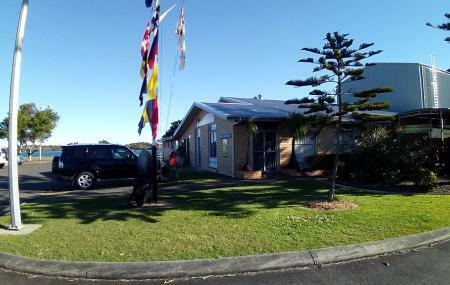 Find hotel near Ballina Naval & Maritime .. If you are in Ballina, you’ve got to visit this attraction as what is counted as one of the best things to do in Ballina. The exhibit includes a wide array of ship models and other historical memorabilia. One of the highlight of the collection here is “the last remaining Las Balsas expedition raft”. This raft is supposed to have arrived at Australia from Ecuador. There are plenty of DVDs too that can especially have the children engaged. The souvenir shop here proves to be the perfect stop for taking home goodies. Create a customized plan for your visit using the Ballina trip planner. You can use ready templates or start from scratch for the same. Your worry of where to stay in Ballina is sufficed by bunch of interesting and comfortable lodging options in the Ballina like Almare Tourist Motel, Ballina Travellers Lodge, Ballina Byron Motor Inn and Chaparral Motel. Draft the best Ballina vacation packages using ideal templates offered by TripHobo. Also explore how to reach Ballina on the go! Love this? Explore the entire list of places to visit in Ballina before you plan your trip. Fancy a good night's sleep after a tiring day? Check out where to stay in Ballina and book an accommodation of your choice. Fantastic place absolutely filled with knowledge and data, can spend a good hour or two to go over everything and for $5 what great value for money they have plenty to see and look at. Would recommend to anyone interested in maritime or world wars. This is a must see museum. You could spnd a whole day there and still not read everything. The history is so interesting. We enjoyed so much this museum.. You can find so many curiosity about maritime an naval, sailing boat but also motor boat. From Wars and before. Also the shop is so nice.. And the receptionists so gentle and smiling... If u are around ballina... You have to go!!! Great little place to explore price is $5 per adult $2 for kids give yours a good to have a look around. If you're at all interested in maritime, naval, or local history this is a must see. They have an impressive collection of models and artifacts on display. Much bigger than we expected. The staff were friendly and helpful.